The Bach Choir invites all primary music teachers and co-ordinators to participate in a free workshop led by The Bach Choir’s Musical Director, David Hill. 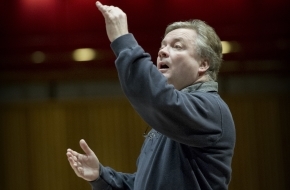 A rare opportunity to work with David Hill in such an intimate setting, the workshop offers participants the chance to learn from a great choral leader with an in-depth knowledge of children’s singing and musicianship. Learn more about how to engage your class in singing activities, developing the children’s voices, and basic conducting skills. In the second half of the session, put your skills to practice with upper voices from The Bach Choir. There are limited places available so register your interest now by emailing chloe.treharne@thebachchoir.org.uk.